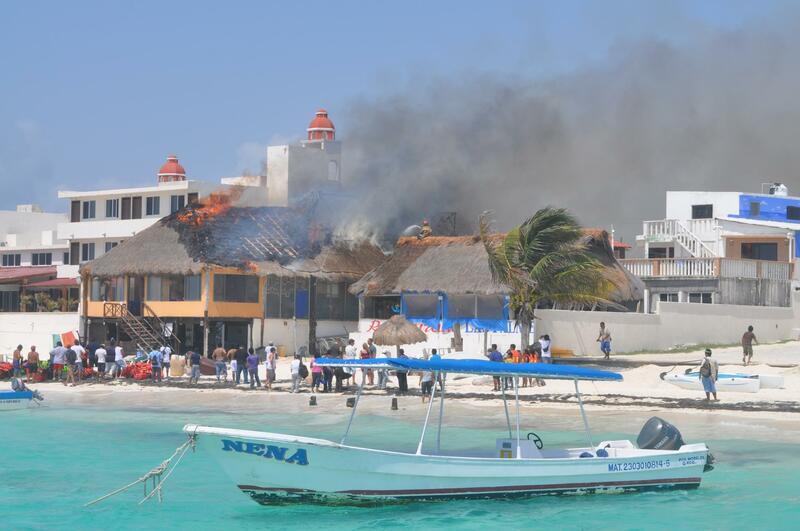 This was four years ago today in Puerto Morelos. 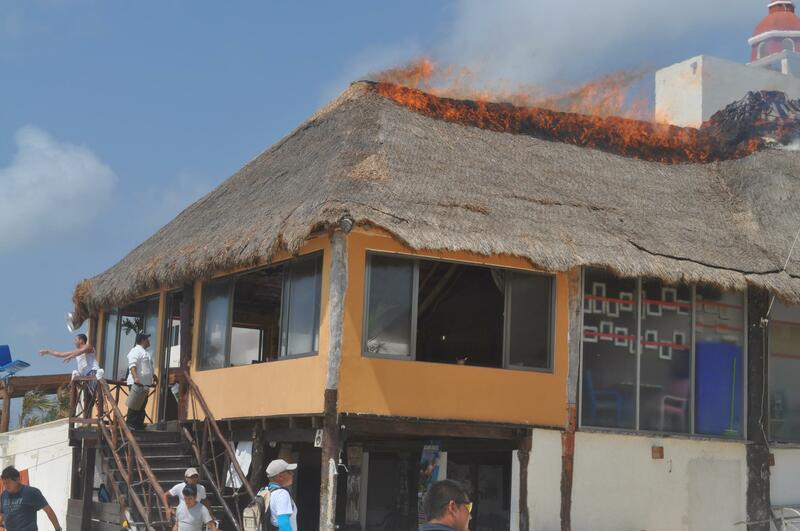 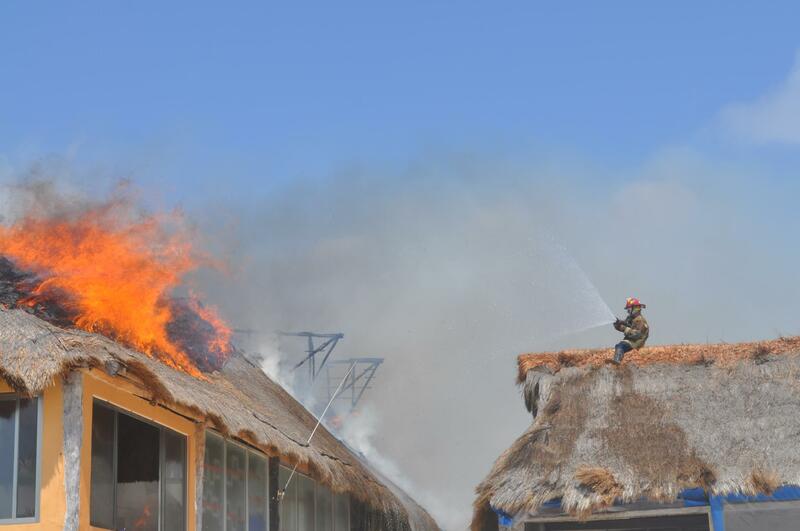 A spectacular palapa fire at Panza Es Primera restaurant on the beach, just south of the square. 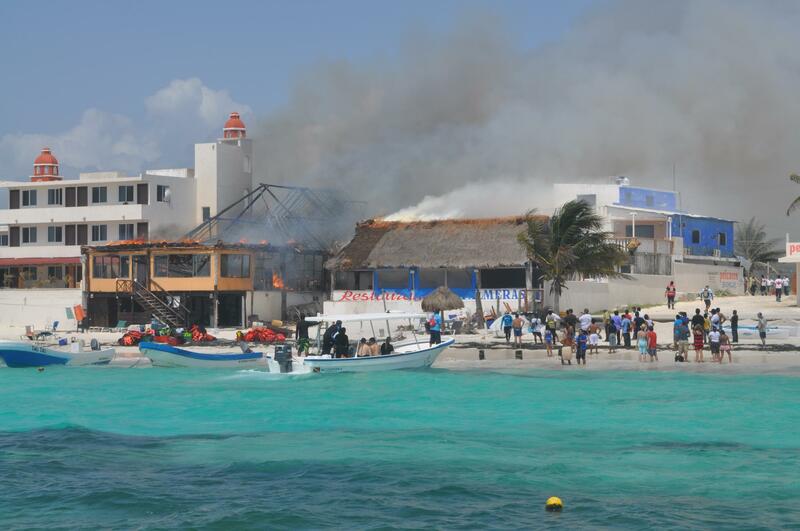 The fire grew quickly, and there were fears that it would spread to the fish restaurant next door or damage the shops across the street. 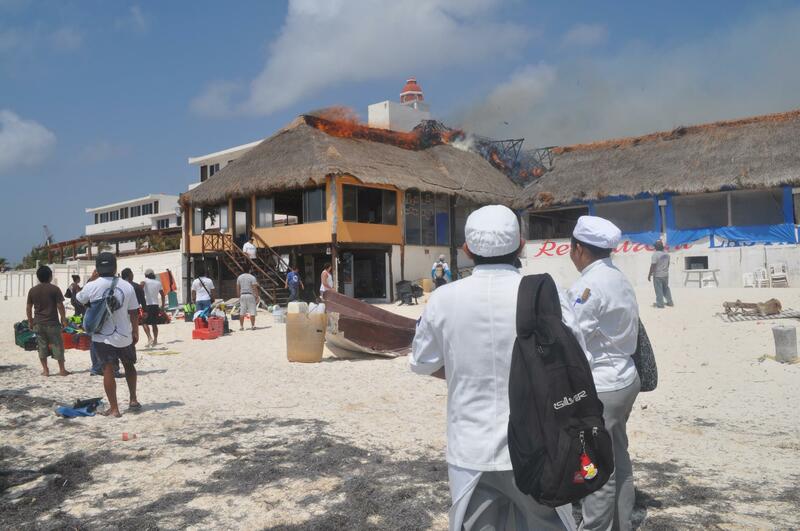 The fire was contained to the one restaurant and it re-opened a few months later. 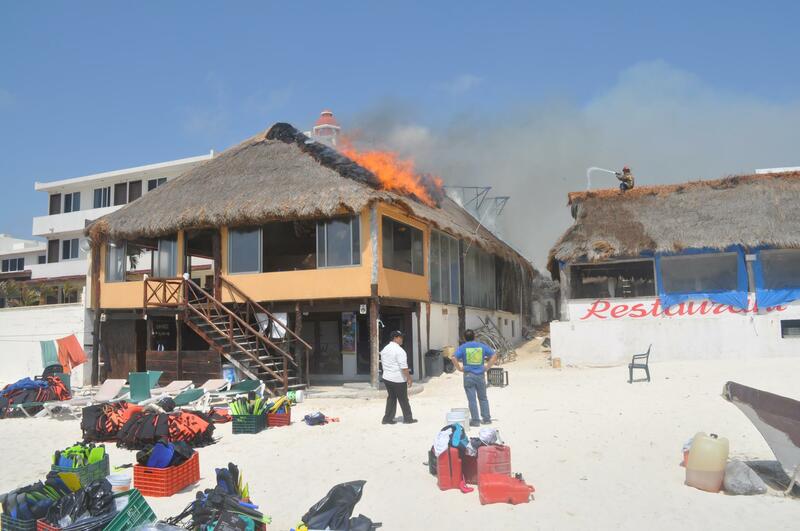 Now it is still open, but under a new name.